Built-up resort: Costa del Sol holidays were some of the first to interest British tourists when Mediterranean holidays became popular over 40 years ago. As a result, Fuengirola holidays have had plenty of time to adapt and grow from a small fishing village to the huge holiday resort it is today. 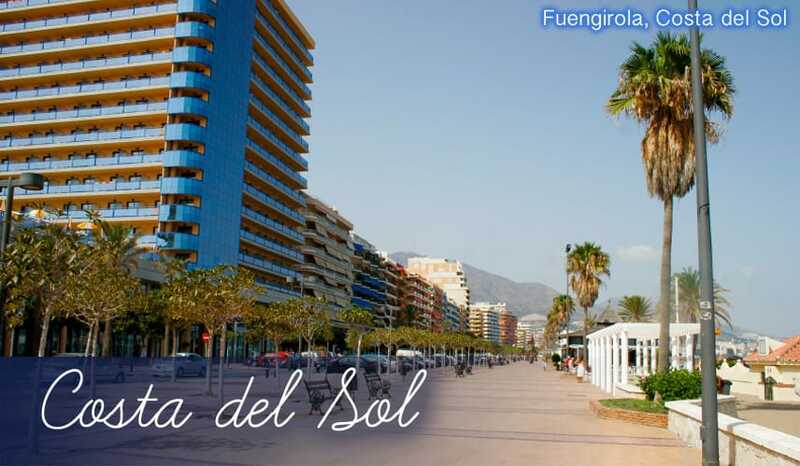 The high-rise Fuengirola all inclusive holiday 2019 hotels which line the coast are an impressive sight, and prove how popular this resort has become for summer holidays. Plenty to do: Another result of the growth of Fuengirola holidays is that there are lots of different activities for every type of holidaymaker. There’s a zoo, a water park, a Moorish castle and much more. Many beaches: When it comes to beaches on your holidays to Fuengirola, you’re spoilt for choice! There are actually seven beaches in Fuengirola, and the three main ones – Santa Amalia, Los Boliches and Gaviotas are all over 1km in length. Sohail Castle: The site where this castle was built has a lengthy history dating back to Roman times, as three statues and the remains of Roman baths were found in the area. The actual castle which stands here now dates back to the 10th century when Spain was occupied by the Moors. Its large, imposing walls show how important military defence was for coastal towns in those days! Gazing out from the top of the castle, you’ll see incredible views stretching for miles around Fuengirola. Water Park Mijas: This fun water park has a varied selection of colourful slides perfect for family holidays. There are relaxing wave pools and Jacuzzis plus high speed attractions like the Kamikaze and Body Ski. The planted trees and green shrubs make it a pleasant place to sunbathe on your holidays in Fuengirola too. Fuengirola Zoo: Another great activity for family holidays, this clean modern zoo is based right in the centre of Fuengirola town. The innovative idea with Fuengirola Zoo is that many of the animals (such as tigers and crocodiles) are enclosed by glass instead of iron bars. This means you can get much closer and enjoy a better view of the animals than at most other zoos. The animals are also kept in enclosures that recreate their habitats in the wild, ensuring they feel more comfortable. Parquelandia: Here’s a funfair created in a traditional British style. Attractions here include bumper cars, a bouncy castle and a mini-golf course. And younger children will certainly enjoy the pool of balls and little trampolines, making Parquelandia another good choice for the whole family on holidays to Fuengirola. Santa Amalia: Around 1.5km of gloriously golden sand, this popular beach is close to many all inclusive holiday hotels, bars and restaurants. That means you’ll only have to take a short walk for some lunch, giving you more time to enjoy the beach on holidays to Fuengirola! Being one of the main, central beaches in Fuengirola, it also has plenty of activities out on the sea including pedaloes, jet-skis and water-skiing. Los Boliches: This very wide, dusky golden beach has plenty of space for sunbathing during your holidays. The sand is also powder soft so it’s kind on your feet too! 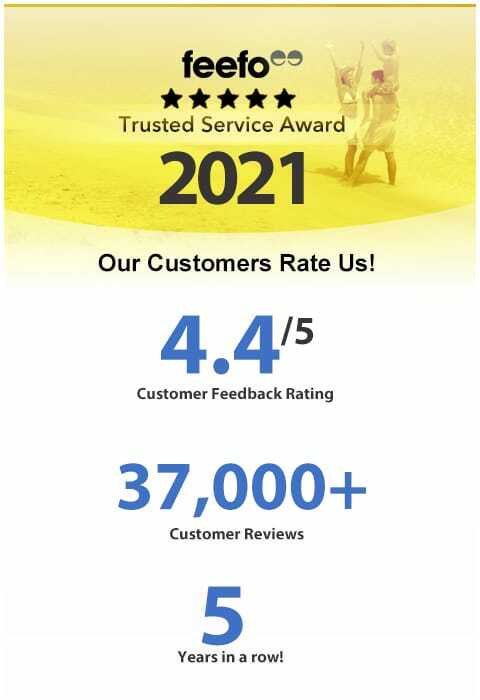 Being another very popular beach for Fuengirola holidays, it also has all the modern facilities you’d expect such as toilets, showers and vigilant lifeguards. Las Gaviotas: The most central beach in Fuengirola, Las Gaviotas continues along the same stretch of coast as Los Boliches. Its wide expanse of soft golden sand makes it a great choice for sunbathing, and its flat surface allows views for miles into the distance. This particular part of the open sea is very popular for windsurfing holidays too. Moochers Jazz Cafe: It’s all about the atmosphere in this friendly bar/restaurant. There’s live music every night to accompany your food, so you’ll certainly be able to mix eating with entertainment on your holidays! The house speciality is large crepe-style pancakes with your choice of savoury or sweet fillings, but they also serve equally excellent steak with a variety of sauces. Great value for money at this restaurant means you can be assured of cheap holidays to Fuengirola. Estilo Campo: This steakhouse has the best of both worlds - original, innovative dining but with an unfussy atmosphere. And aside from the beautifully cooked Argentinian Steak you can also choose interesting dishes like garlic chips and lemon and cava sorbet. La Diferencia: A very modern, stylish restaurant with a dazzling interior of ornate floral patterns and artistic paintings. The food is just as creative, and the luxury dishes such as lobster or chocolate fondue are presented with real flair. A place worth picking even if you’re on all inclusive holidays to Fuengirola. Lively bars and clubs: Fuengirola holidays are often considered the best for clubbing in the Costa del Sol, and it’s easy to see why! The centre of Fuengirola is literally overflowing with bars and clubs of every variety. There are British pubs, loud dance clubs and a smattering of Spanish bars all vying for your attention. The British bars which may tickle your fancy on holidays to Fuengirola include London Pub, which despite its cosy traditional decor is actually a lively venue which stays open into the early hours every night. Plus as an extra bonus, like many bars in Fuengirola, the drinks are very cheap! Beetle Bar is also worth a visit, largely because (as you may have guessed) there’s lots of quirky Beetle memorabilia and even a Beetle car for the DJ booth! When it comes to clubs in Fuengirola, Millennium is a real highlight as it plays UK dance music in dark, stylish surroundings. It’s also worth joining the crowds in Oasis as this colourful club was used as the setting for a Basshunter music video. Many shops: There’s a wealth of choice when it comes to shopping during Fuengirola holidays. The main square, Plaza de la Constitucion, has branded shops such as Mango and Benetton as well as original boutiques selling one-off fashion items. Parque Miramar: This huge shopping centre has over 160 outlets, making it one of the largest you’ll see on Costa del Sol holidays. Inside, you’ll find many Spanish brands and famous international labels such as Zara and Pepe Jeans. That’s not forgetting that there’s a 12-screen cinema and a Burger King for the kids too.